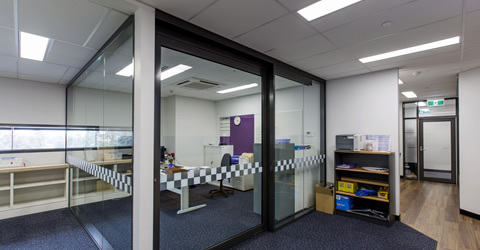 SJ Higgins Group was contracted to deliver the staged internal fit-out and construction of a new pavilion for the Dandenong Police Station. 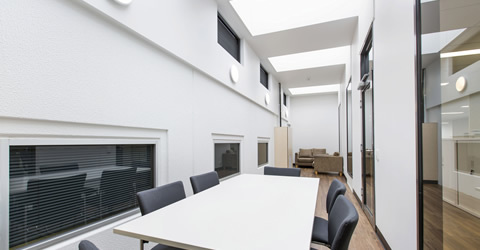 Our team needed to address several challenges during the course of this project including working in an operational 24 hour police station and delivering a quality fitout on time and budget whilst meeting key milestones for individual project stages. 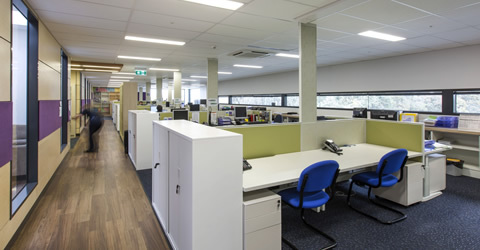 Communication and close collaboration with Victoria Police internal departments was vital to ensure that works did not disrupt operations and that staff were aware of upcoming works that would affect them including power outages. Another critical factor of this project was ensuring that all building occupants were separated from the construction works by installation of temporary internal hoarding panels. Relocation of tenants into temporary modular portable office accommodation with amenity facilities set up for the duration of Stage 2 works. 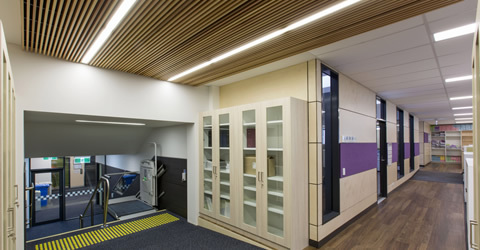 Extension of the lower ground floor property store room, fit out of new office and reception areas and construction of a new 13 passenger lift to ground floor area. A new lift shaft was excavated in the lower ground basement to facilitate the installation of a new 13 passenger lift. Excavation of the lift pit occurred in an operational area, with focus on controling noise and vibration. A new 430m² pavilion was constucted above the existing ground level prisoner cells. 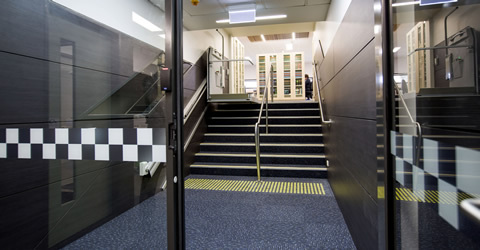 This was a particularly challenging aspect as the custody areas needed to remain in use throughout construction works. The pavilion contains an open-plan area, storage, break out/ light well meeting areas, gymnasium and tea point facilities. Access to the new pavilion was constructed via new stair wells and a new platform stair lift installed.